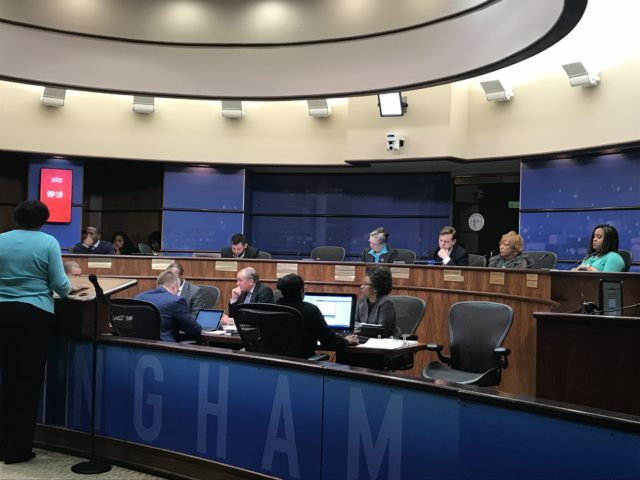 Major capital projects are underway or will be underway by this summer and residents will be able to track the work online, Birmingham Mayor Randall Woodfin told the City Council on Tuesday. Included is a city-wide resurfacing project to address more than 19 miles of streets that will stretch across all nine council districts that is scheduled to begin mid-to-late summer, he said. “The [capital] projects include parks, recreation centers, city facilities, streets and libraries,” said Woodfin. Updates on the work will be on the city’s website later this week, he said. Residents can visit www.birminghamal.gov to sort by district, project and completion dates, he said. “We believe this project detail and overwhelming amount of information will keep us all abreast of all the capital projects but also put City Councilors in a position to over communicate where these projects are to your neighborhood presidents, to other officers, your community leaders as well as all of the other residents who you all represent,” he said. Council President Valerie Abbott said she was pleased with “overwhelming amount of information” from the mayor’s office. Woodfin said the city-wide street resurfacing project will cost about $5.1 million, with funding in place that includes $2.8 million from the Neighborhood Revitalization Fund, a $2.2 million Alabama Department of Transportation (ALDOT) grant and $500,000 from previously completed street related projects. Woodfin also told the council that the city has demolished a total of 368 properties from January 1 through February 15. He also addressed what his administration has been doing to create more healthy food options for the city. “We will have a plan to roll out a healthy food ordinance as part of this initiative. This ordinance will address and focus on federally designated food deserts by limiting the development of new dollar stores in our city, which includes all the types of dollar stores as well as open more opportunities for fresh food producers and lowering the overall cost for grocers,” he said. He hopes to have the ordinance to the council in the next few weeks for discussion, he said. Woodfin said something needs to be done soon either through existing laws or ordinances. 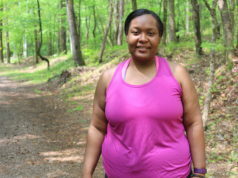 “We have to protect our people and if we’re going to be honest about the food desert conversation and be intentional about bringing healthy groceries in our communities, we’re going to have to stop some of the stuff from happening where our folks are choosing other options because of the overwhelming access to it, which doesn’t necessarily help them,” he said. In other business, the council appointed new members to the Parking Authority Board and the Birmingham Planning Commission. The council reappointed long time city employee Kevin Owens, and newly appointed Five Points West Community President, Dora Sims, to the Birmingham Parking Authority. The Parking Authority regulates off street parking spaces, parking decks, and parking lots owned by the City of Birmingham. The council reappointed Ronald Crenshaw to the Birmingham Planning Commission. Crenshaw was previously serving a shortened term (due to a mid-term resignation of a former Planning Commission member). The Birmingham Planning Commission is the official planning agency of the City of Birmingham. Its broad responsibility is to plan for the orderly physical development and/or redevelopment of the City, including its transportation network, public facilities, and the arrangement of land uses.